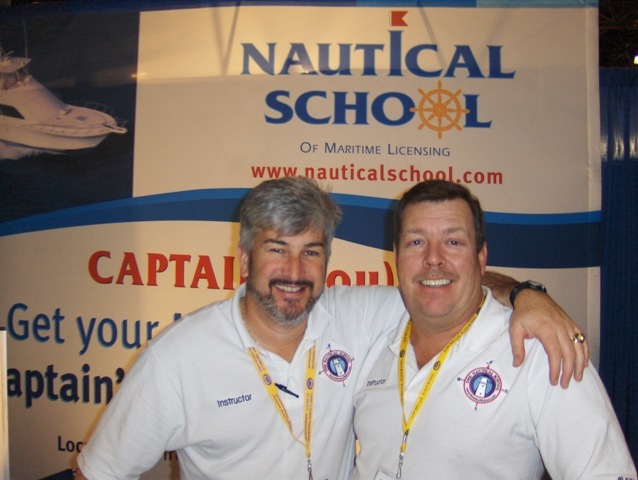 Captains' Chris and Jimmy stop for a moment to pose for the camera while at the New York International Boat Show. The boats shows are always great fun! 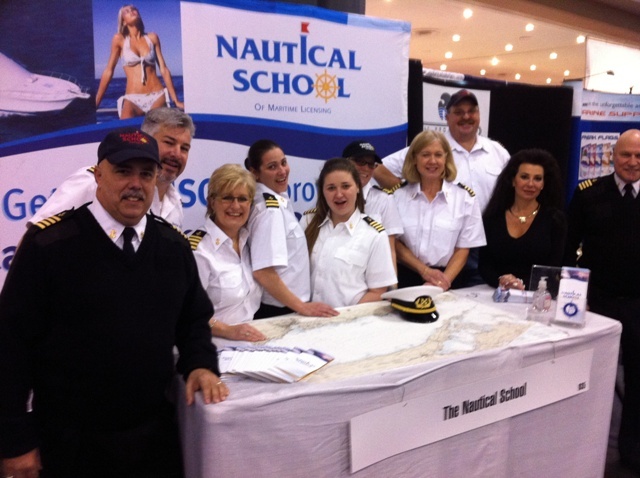 Here the staff of the Nautical School take a moment to get a photo. Danielle & Capt. 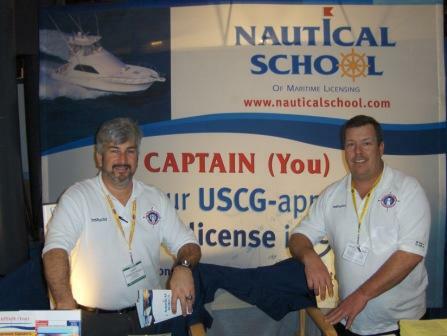 Chris take a moment to pose for a picture during the New York Jacob Javitz International Boat Show. Take a moment to smile for the camera at one of the boat shows.